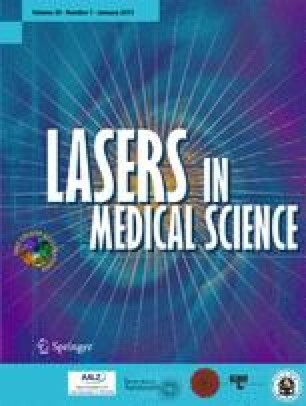 No published reports have demonstrated the capability of the optical coherence tomography technique for quantifying the optical coherence tomography signal slope, 1/e light penetration depth, and attenuation coefficient of hyperglycemic blood by an in vitro assessment. The purpose of this study was to investigate the effects of hyperglycemia on optical properties during in vitro blood coagulation by optical coherence tomography. Normal whole blood acted as the control group. After 1-h coagulation, the average optical coherence tomography signal slope decreased approximately 23.3 and 16.7 %, and the 1/e light penetration depths increased approximately 21.5 and 19.2 % for the control and hyperglycemic groups, respectively. It could be seen from the 1/e light penetration depth evolution curves that the blood coagulation time was about (425 ± 19) s for normal whole blood and (367 ± 15) s for the hyperglycemic blood. The coagulation time decreased 13.6 % for the hyperglycemic blood compared with that for normal whole blood. There was statistically significant difference in blood coagulation time between the hyperglycemic and normal whole blood (p < 0.05). The results suggested that hyperglycemia has a procoagulant effect. Our experiment was the first reported study of monitoring hyperglycemic blood coagulation using OCT. We conclude that OCT is potential technique to quantify and follow the liquid-gel transition of hyperglycemic blood coagulation.